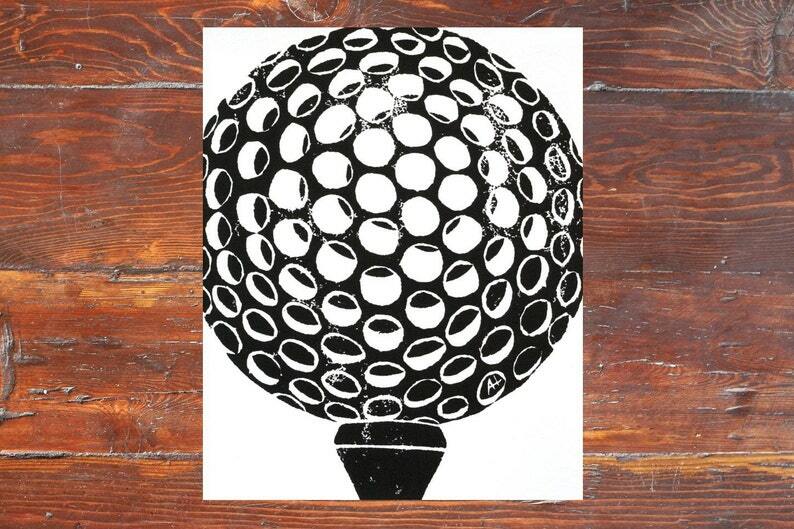 The golf ball and tee design was hand-carved by me and applied in black (like a huge stamp) to recycled, white, lightly textured, 96 lb, 11 x14 inch paper. 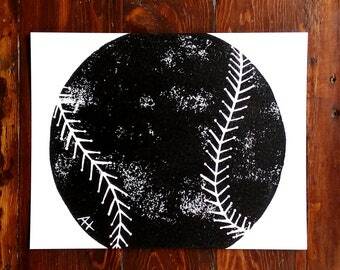 Slip this original art print into a 16 x 20 inch frame matted to fit an 11 x 14 inch print or an 11 x 14 inch frame. Make it a collection and purchase the "iron face" print available here. Need a different color? Please contact me for a custom order. Because each piece is made to order and printed by hand, it is an original work of art and will have its own unique character. You are purchasing one Ball & Tee print, not matted or framed, shipped in a sturdy mailing tube. Ordered the golf ball and club for my fiancé. I’m extremely pleased with the items I ordered.